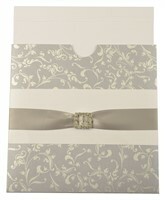 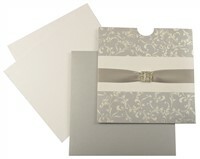 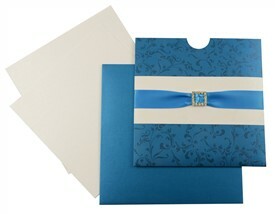 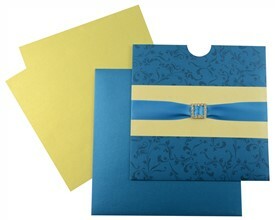 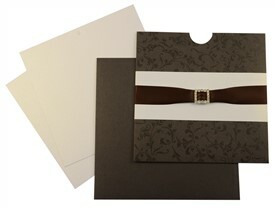 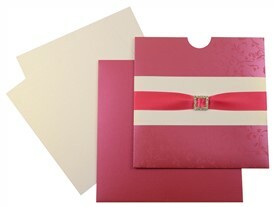 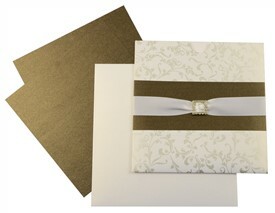 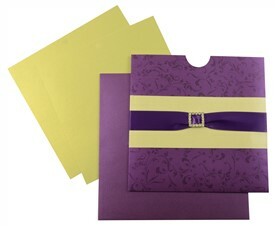 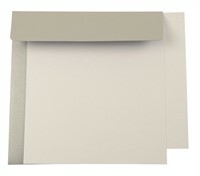 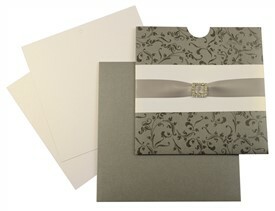 D-6446, Silver Color, Shimmery Finish Paper, Ribbon Layered Cards, Designer Multifaith Invitations. 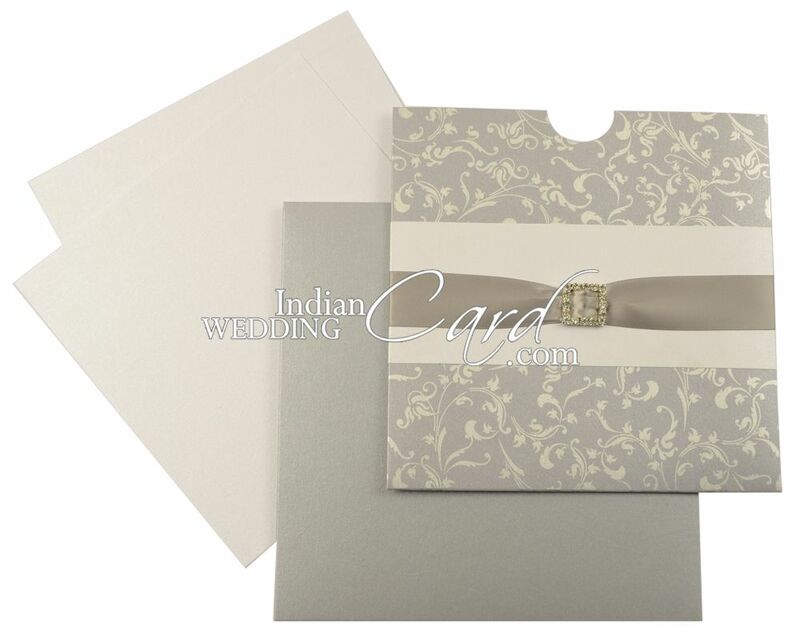 The front of this pocket style card has paisley design all over in self color with a white band going across, layered with ribbon and broach. 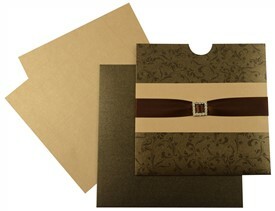 Inserts and envelope are plain.